Your cart is empty. Please add at least one certificate to your cart. 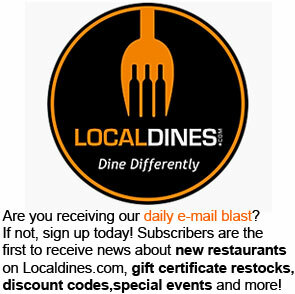 Stay up to date with daily emails featuring LocalDines.com certificate restocks, event news, special promotions, and more!